Bamboo, clay and straw were traditionally used as building materials in rural Việt Nam, when cement, brick and steel were not available. As cities expand, homes made of bamboo have gradually disappeared, but one house in central Việt Nam has been preserved. Painter Nguyễn Thượng Hỷ had his house built from bamboo and clay near Mỹ Sơn Sanctuary in 2011. The structure follows a traditional house built in the 17th century. 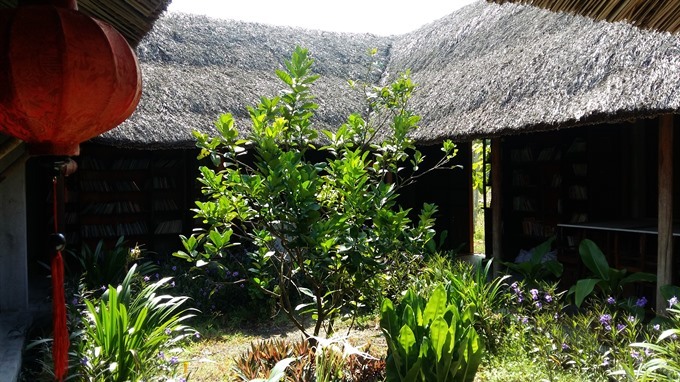 The bamboo-structure frame, clay walls and thatched roof help keep the interior cool in summer and warm in winter. It is also strong enough to survive the frequent heavy rain and flooding in the central region. Hỷ, 65, said the design of the house was typical among prosperous families from north of Quảng Trị Province to south central Phú Yên province, and some similar houses are still standing despite the proliferation of concrete buildings and high-rises. “I found the design of the house from an old document written by French cultural researcher Pierre Gourou saying that the cottage was popular in areas from Quảng Bình (south of the Giang River) to Phú Yên,” Hỷ explained. “Houses were built using locally-available materials by skilled craftsmen. The bamboo had to be soaked in water for years to prevent termites and woodworm,” he said. Hỷ said builders created two layers for the roof – an outer thick layer of thatch and lower inner one of clay and straw. The clay layer helps to prevent fires spreading and aids ventilation. “The dried thatch roof can catch fire, and the lower one stops fire spreading to other parts of the house. Wealthy homeowners believed the inside clay layer would protect their belongings,” he explained. “The walls are made of bamboo rods that are similar to a modern steel structure, while the mortar is made of clay from the paddy field, straw and water. Nguyễn Trang, 83, from Điện Nam Đông Commune in Quảng Nam Province is a rare master craftsman who knows how to make bamboo houses. “We are all too old. It’s not our main job, but we still have skills to build from local materials including clay, straw from the rice fields and bamboo,” Trang recalled. 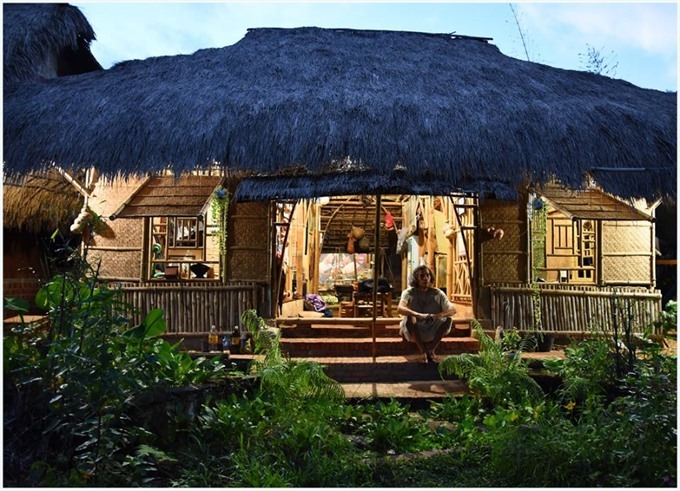 “Bamboo houses have disappeared from rural life, but there are some at tourism sites used for homestay. “A small bamboo house takes a lot of labour and bamboo. This is difficult because skilled builders are rare and bamboo forests are disappearing,” he said. 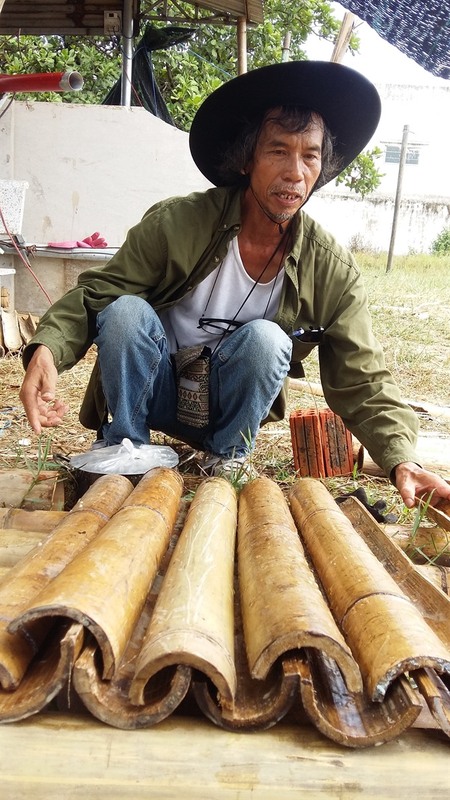 Phạm Nhật Ánh, 68, a craftsman from Điện Nam Commune said he could make bamboo houses, but his main job is in the paddy field. “The new generation doesn’t have the skills to make a bamboo house. We learned the techniques when we were young and we can still earn money from them,” Ánh said. According to Hỷ, three species of bamboo are used to build the traditional houses including woody bamboo (Bambuseae), lồ o (Bambusa procera) and thorny bamboo (Bambusa blumeana). 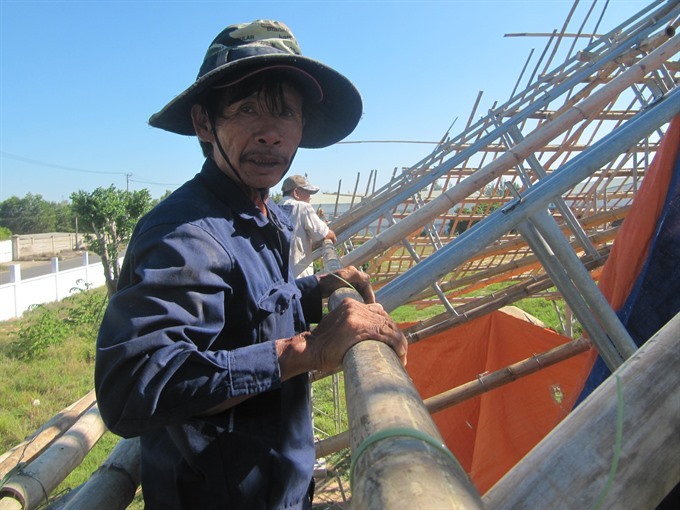 As the strongest, thorny bamboo is used to build the main structure (columns, beams and girders), while softer bamboo is reserved for walls or furniture, Hỷ said. He added that that resin of Litsea glutinosa (a rainforest tree in the laurel family) was mixed with clay and straw to improve the adhesivity of mortar and make walls more waterproof. 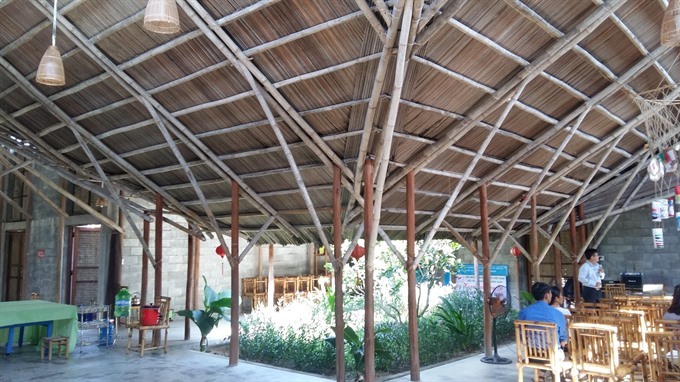 Nguyễn Đăng Hoàng Hải, 24, an architect from the Huế-based College of Social Science and Humanities, said he and a team of young architects had designed a bamboo house project in Cẩm Thanh Commune of Hội An. 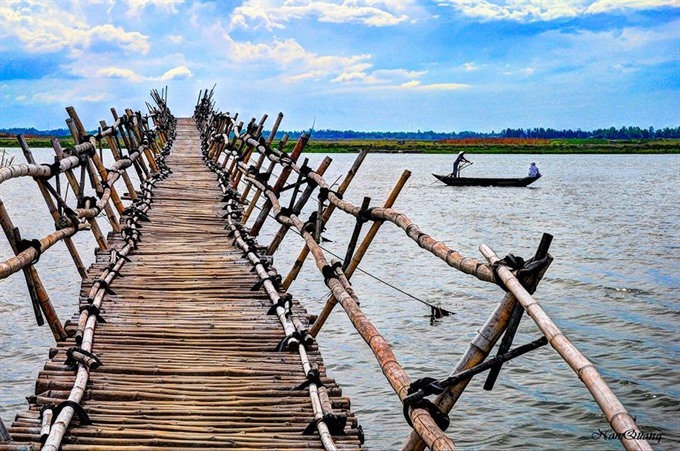 “We gained experience from local craftsmen when building the bamboo house in Hội An,” Hải recalled. 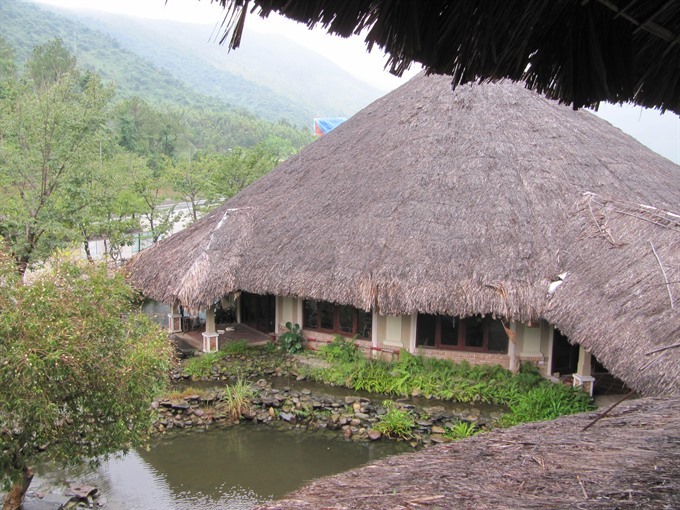 Tourist attraction: A house with a thatched roof at an eco-tour site in Đà Nẵng. 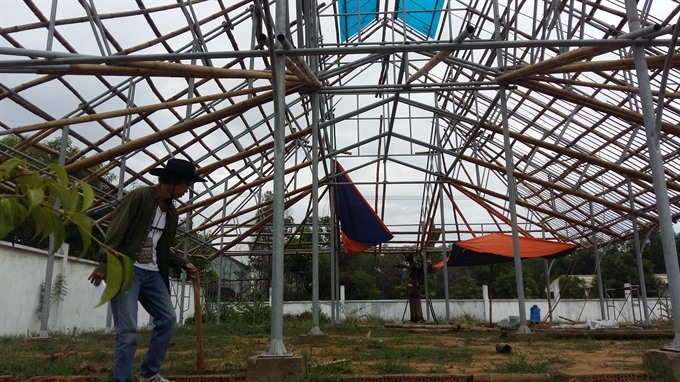 Nguyễn Văn Tùng, a final-year student at the Đà Nẵng Architecture College, said he had been working on a thesis about bamboo houses and climate change resilience. “I learned about the techniques from Hỷ and other craftsmen to complete my thesis. 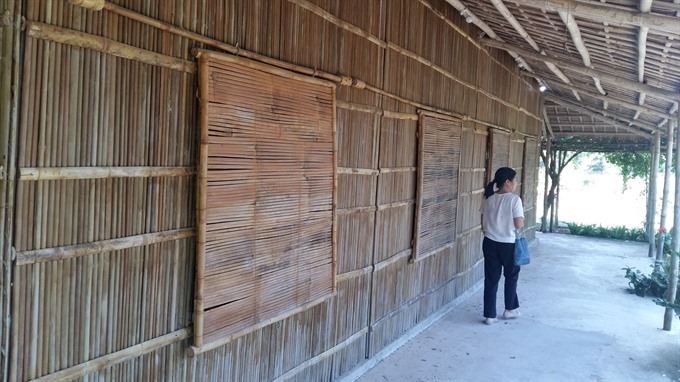 Walls built from clay and straw help cool the interior, even when the weather is hot,” Tùng said. “Bamboo can be used in modern architecture to reduce the heat absorption of concrete. This can include the floor or cooling panels of grass and bamboo on the roof,” he suggested. Artist Hỷ encourages young architects to use more bamboo in modern designs, while pointing out that many of Việt Nam’s bamboo housing projects have won awards at international architecture competitions. Hỷ said the promotion of bamboo houses in the tourism sector helped with bamboo afforestation, the preservation of typical trees and supplying environmentally-friendly material in construction. He said bamboo was also symbolic of the vitality and power of Vietnamese culture and its people, and bamboo houses would promote the unique designs of Việt Nam. 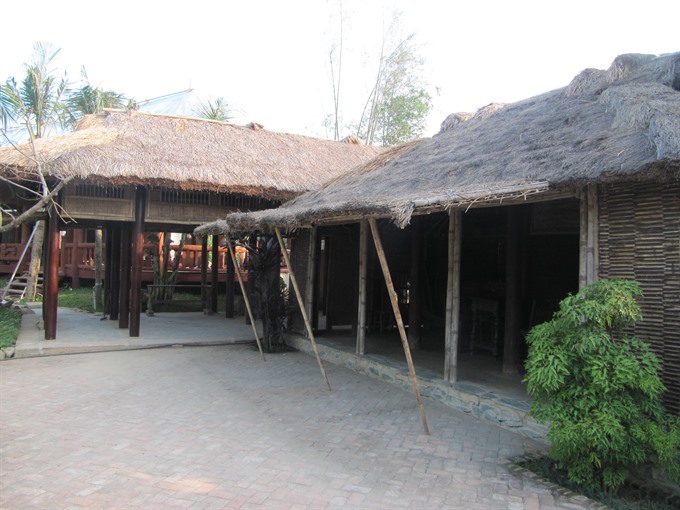 The Vinahouse Space, a museum of ancient architecture, in Quảng Nam, has preserved a 102-year-old house made of bamboo and clay that was home to generations of a family through war and peace.